Tired of waiting at the doctor’s office? We'll bring the doctor right to your home. 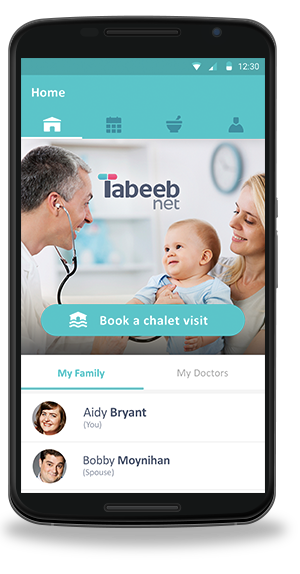 Or add your phone number and we will send it to you ..
TabeebNet brings the doctor right to your home. Worried about needing a doctor while on vacation? With TabeebNet you can access our doctors and book one right to your doorstep. Don't waste your vacation waiting at the doctor's office or trying to find a pharmacy. Simply book an appointment with the doctor of your choice. With few taps, the doctor will receive your request and respond to it. 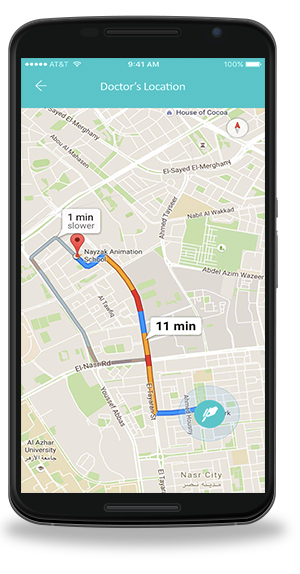 Once the Doctor is on his way, you will be able to track his location en route to you. Access our directory of pharmacies and have everything delivered to your doorstep. Enroll your services with TabeebNet and enhance your exposure! send it to you ..